Low weight and high strength combined with an optional twist-lock auto-lock gate make this affordable carabiner a choice for top professionals. The rockD is the carabiner of choice when seeking the highest strength in a standard-sized aluminum frame. Available in the Auto-lock or Screw-lock gate options, the rockD carabiner serves the broadest range of specialized uses. 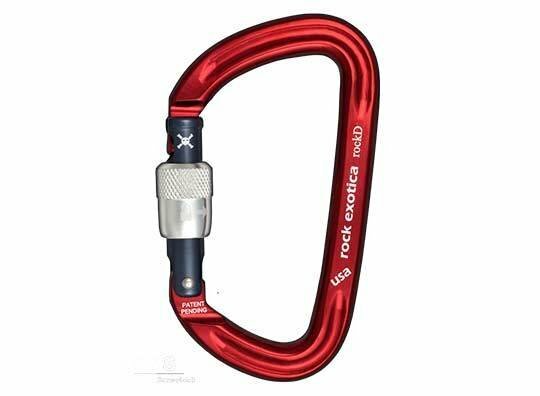 The rockD in non-lanyard versions, features a flattened profile with an i-beam profile at the bottom and top bends, giving the carabiner a sleek profile, while providing low weight and high strength characteristics.